Professional supply and installation of fencing and gates throughout Oxfordshire, with friendly advice from experts you can trust and free, no obligation quotes. Contact us for domestic, commercial or agricultural gates and fencing installations. 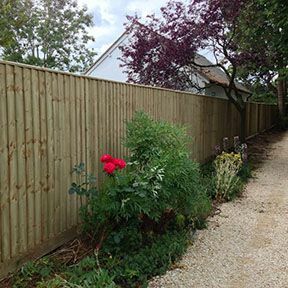 We supply and fit all types of fencing for domestic, commercial or agricultural purposes. Close board, larch lap panels, contemporary, post and rail, steel palisade, chain-link, stock fencing etc. Get in touch to organise a free quote or ask about any special requirements. All types of gate professionally installed - enhance your home’s kerb appeal or improve security for your house, business premises or farmland. 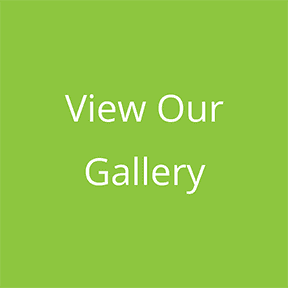 Get a quote for driveway gates, wrought iron gates, steel palisade, security or deer gates. 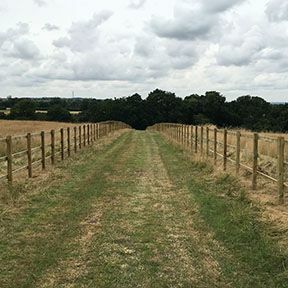 Established in 2007, Trentwood Fencing Ltd supplies and fits domestic, agricultural and commercial fencing and gates throughout Oxfordshire. We provide free, no obligation quotations for all fencing needs, competitively priced, with guaranteed workmanship and materials. From initial quote through to completion, to replace or repair one fence panel or twenty, you'll find us friendly, knowledgeable and efficient. 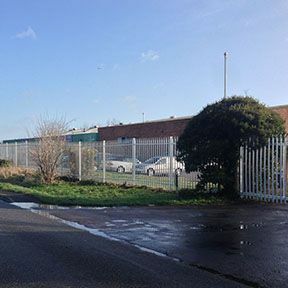 As a member of the Trading Standards and local council-approved Buy With Confidence scheme, prospective customers can rest assured that they are dealing with a reputable and professional fencing and gates company. All our employees are CRB checked and we hold Public Liability insurance up to five million pounds. Need to dog-proof your garden fence? Explaining what type of fencing is best for your dog and how to keep your dog from escaping the garden. Garden fence etiquette – who gets the “good” side? Most fence panels and gates have one side that’s more attractive than the other, but should the "good" side face towards you or your neighbour?